As you know, the Be Better chosen charity for June is To Write Love On Her Arms (TWLOHA), founded by Jamie Tworkowski. The non-profit began as a way for Tworkowski to help a good friend who was struggling with addiction, depression, self-harm, and thoughts of suicide. He helped his friend to seek treatment…isn’t that awesome?! In his work with the non-profit, Tworkowski helps others struggling with these issues by giving them hope and letting people struggling with depression know that they are not alone. He has given talks across the country and has even recently published a book called If You Feel Too Much. The book title If You Feel Too Much sends such a powerful message. Be Better members, let’s add this book to our Be Better Book Club reading list. Remember whenever you complete a challenge it not only benefits you but also raises money to TWLOHA to support their work to raise awareness for mental health. Be Better Movement is a great match for TWLOHA because we are a community that aims to help people by improving physical and mental health, as well as improving the lives of those around us. Last week’s challenge of visiting a local Farmer’s Market is a perfect example of how the Be Better community continues to support others. Seeing people all over the world participate in and fulfill the challenge is extra motivation that we need. Slowly but surely, we can turn our own goals of self-improvement into global improvement. Not only is supporting your local Farmer’s Market helping to promote and support our community, but it is also helping us as individuals to eat healthier and to maintain a healthier lifestyle. Last week, you supported 17 different farmers markets across the country and even in Australia. Thanks for your completed challenges. $28 was raised for TWLOHA. Great job to everyone who completed the challenge: you ate healthy, supported your community and helped to raise money for TWLOHA! What a great way to spend your time and money. Here are a couple posts from last week’s challenge that stood out to us. Here are some awesome posts by Cassie in Australia, Cassandra in Indianapolis, Nicole in Oregon and Angie in Seattle. Way to go, guys! 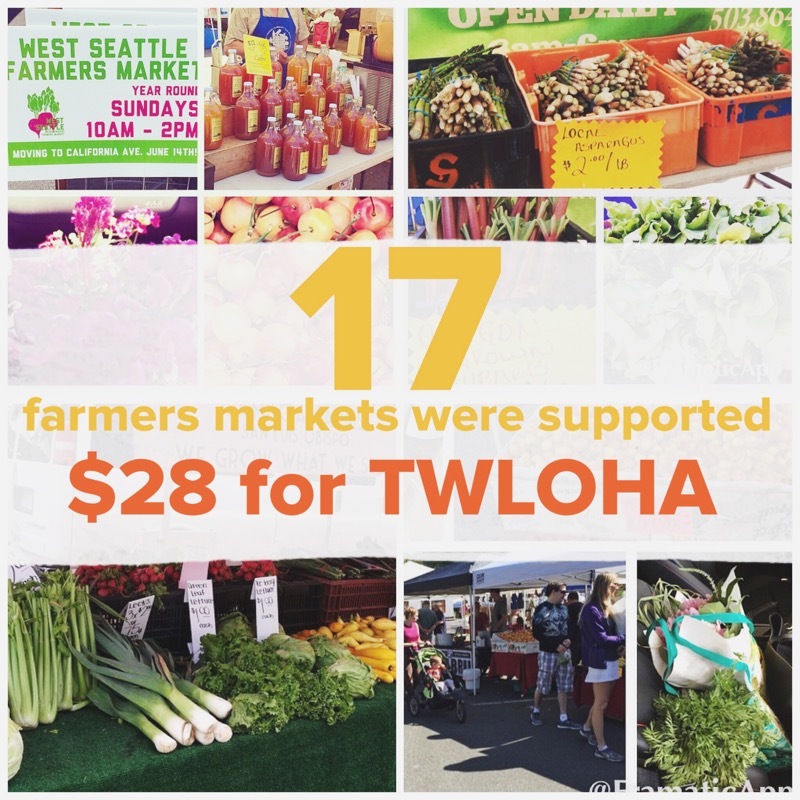 Thanks for supporting your local Farmer’s Market!